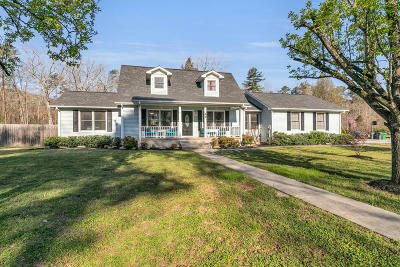 Welcome home to the gorgeous Sequatchie Valley, convenient location just a couple of blocks from 111 and Hwy 28. Get the ideal double lot, for an acre of level, yes, flat as a flitter fenced yard, in the greenest valley around. Freshly painted, well updated home just over 2, 000 sq ft, lots of new fixtures and hardware, hardwoods, and a bright and sunny kitchen with tons of cabinet storage, counter tops, and large island. Large rooms throughout, lots of storage, oversized two car garage, make this beautiful three bed, two bath home live so comfortably. See this one today!